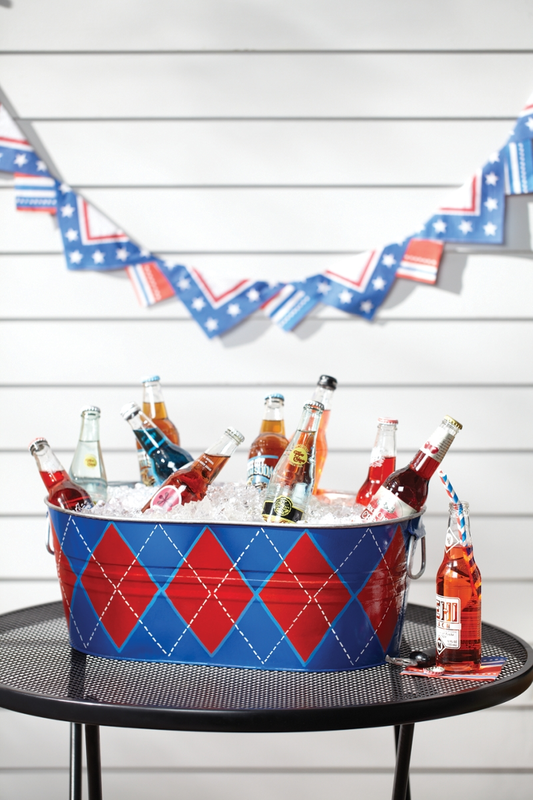 Serve your summer-time drinks from this stylish beverage tub! Argyle Beverage Tub was designed by Roxi Phillips. Learn how to create seasonal decorations by exploring Summer spray paint projects from Krylon®.